The "battle in Brooklyn" was joined by 5.6 million viewers on Thursday night. According to Nielsen ratings data, about 5.4 million tuned in to CNN, and another 171,000 watched on Time Warner Cable News NY1, the debate's co-sponsor. Total viewership on Thursday was roughly in line with the viewership for the two Democratic debates last month. The results suggest that the Hillary Clinton-Bernie Sanders match-ups are drawing a core, loyal audience but not much curiosity beyond that. 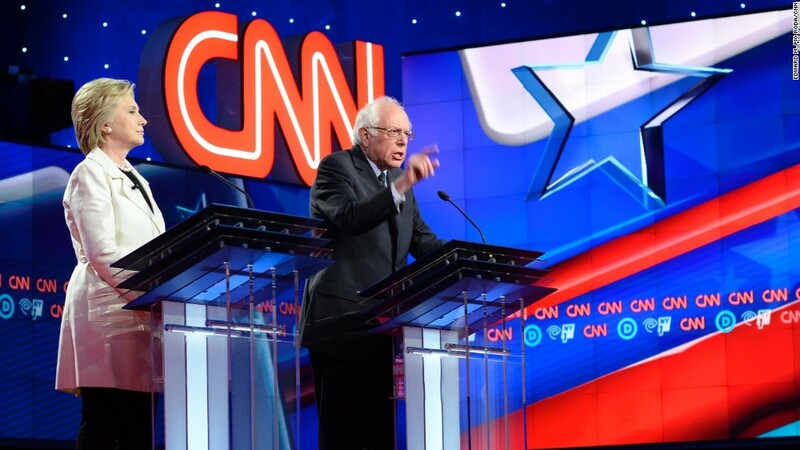 CNN's debate in Flint, Michigan, on March 6 had 5.5 million viewers. Univision's debate in Miami, Florida, on March 9, simulcast on CNN, had 5.9 million viewers combined. For comparison's sake, the most recent GOP debate, CNN's face-off in Miami, Florida on March 10, totaled 11.8 million viewers. No further GOP debates are scheduled, and it remains to be seen if Clinton and Sanders will debate again. The Democratic National Committee and the two campaigns have laid the groundwork for one more debate, to be held sometime in May, but there isn't a specific date or host locked in yet. So for now Thursday's combative session between Clinton and Sanders is the last. In the key advertiser demographic of 25- to 54-year-olds, 1.8 million viewers tuned in.